Find the perfect Mazda for your lifestyle. Get the best of both worlds: used vehicle prices and a near-new vehicle. 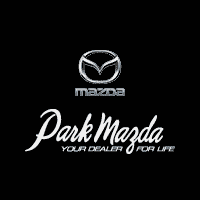 Park Mazda carries a large selection of quality pre-owned vehicles. Drivers near Sherwood Park and Edmonton’s metro area prefer Park Mazda, the largest Mazda dealership in western Canada. In 2014 and 2015, Park Mazda was chosen for the Mazda Dealer of Distinction Award based on our commitment to excellence in sales, service, parts, administration, facilities, and customer satisfaction. For over a decade, we’ve been committed to helping drivers find the perfect new Mazda car or pre-owned vehicle that meets their needs and budget. In particular, first-time buyers choose Park Mazda because our unique first-time buyer’s program gives them benefits like a $500 rebate towards their purchase and competitive auto financing rates. Whether you’re buying new or used, our team is going to help you find a great car at a great price. After driving home, you can always rely on our team of Mazda service technicians for basic maintenance and critical repairs. Schedule your service online or stop on by the dealership whenever you need assistance. If you need to get to work or back home, we offer a complimentary shuttle service. Otherwise, stay and relax in our comfortable, Wi-Fi-equipped waiting area, while our team takes care of your vehicle. Visit our showroom, located at 983 Fir Street, Sherwood Park, AB to see our large selection of Mazda vehicles. Please contact our sales team or stop with any questions and stop by Monday through Friday from 9 a.m. to 9 p.m, Saturday from 9 a.m. to 6 p.m. and Sunday from 11:00 a.m. to 5:00 p.m. for a test drive!